The current holdings of this virtual library include. A listing of professional documents by Michael Bozozuk (Past President of the CGS 1987-1988) including: publications in refereed journals, MSc thesis (A study of the foundation failure of the Transcona grain elevator), PhD thesis (The Gloucester Test Fill), plus notes, reports, papers and publications from 1953 to 1991. The collection is held by the University of Ontario Institute of Technology Library Archives and can be viewed at the UOIT Library Archives, by appointment. A listing of the papers of Robert F. Legget assembled for research in writing the book "Handbook of Geology in Civil Engineering" (co-authored with Paul Karrow, McGraw-Hill, 1983). The records are arranged in eight groups including: general, background by chapter, geographical, by topic, photographs and drawings, publications (including a version of the "Handbook" in Spanish), correspondence and financial. The collection was held by Paul Karrow and donated to the University of Ontario Institute of Technology Library Archives through Michel Aubertin, CGS President, in June 2010. The collection can be viewed at the UOIT Library Archives, by appointment. Information about locating information and documents about Robert F. Legget, which are held at Library and Archives Canada, 395 Wellington Street, Ottawa ON K1A 0N3, http://www.collectionscanada.gc.ca/index-e.html. Personal memoir by Robert Legget, written as part of the Canadian Geotechnical Heritage Project (see above). This 104-page manuscript, plus 3 appendices, is type-written and hand-edited by the author, however, was never submitted for publication, and remains unpublished. Contents include sections on Early Training (-1922-1929); Canada: Pre-Conference (1929-1936); First International Conference (1936); Development in E. Canada (1936-1939); The War Years (1939-1945); the Post War Years (1945-1947); The Associate Committee; and L'Envoi. Letter from R.F. Legget to W.G. McKay of Winnipeg, MB, March 1979, listing the books written by R.F. Legget. Biographical sketch and a listing of the Dalhousie University Archives collection of G.G Meyerhof documents, Assession No 2002-022, housed in the Dalhousie University Archives in Halifax, NS. They were prepared by archives' staff and by J�rn Landva and Paul Green. Selected publications of N.R. (Norbert) Morgenstern, University of Alberta, Edmonton, AB, organized and searchable by subject and by date. These publications are in the Members Section of the CGS website. Thomas Roy may well have been North America's first engineering geologist (Legget, 1973). Little is known of his early life. A letter from James Kerby, Fort Erie Mills, to Lt. Col. William Rowan, Secretary to Lieutenant Governor Sir John Colborne, 15 July 1834, introduces "Mr. Roy from Scotland, who has come to Canada with a view to settling and to make himself as useful as he can as an engineer." (National Archives of Canada, U.C. Sundries, RG 5, A-1, pp.78074-75). (Roy's family background may have been in Scotland, as noted above, or in New Brunswick - see documents below.) He lived in Toronto, Ontario from 1834 until his death in 1842 and worked on many projects associated with roads, canals and railways. His obituary showed that he "not only planned and carried into execution the various public improvements which have raised this city (Toronto) to its present state of prosperity, but he has for years employed himself in examining into the geological features of this Province...". To honour the memory of Thomas Roy, the CGS Engineering Geology Division established the Thomas Roy Award in 1982. Correspondence and comments on the family background of Thomas Roy, in particular, whether he came from a Scottish family that settled in New Brunswick or directly from Scotland. Compiled by Jim Graham in 2010. Sources of available Thomas Roy archival records in Canada (1834-1845) prepared by Stephen A. Otto (independent historian) in 2001. R.F. 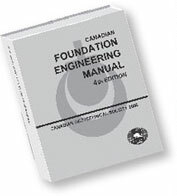 Legget (Canadian Geotechnical Journal, v 25, pages 1-12, 1988) presents biographical information about Thomas Roy and significant extracts from Roy's 1841 book, Principles and Practice of Road-making as Applicable to Canada (see above). The paper has been made available through permission from NRC Research Press. Scanned copy of the original 1841 document, Principles and Practice of Road-making as Applicable to Canada by Thomas Roy, Civil Engineer, H.& W. Bowsell Printers, King Street, Toronto, 42 pages.